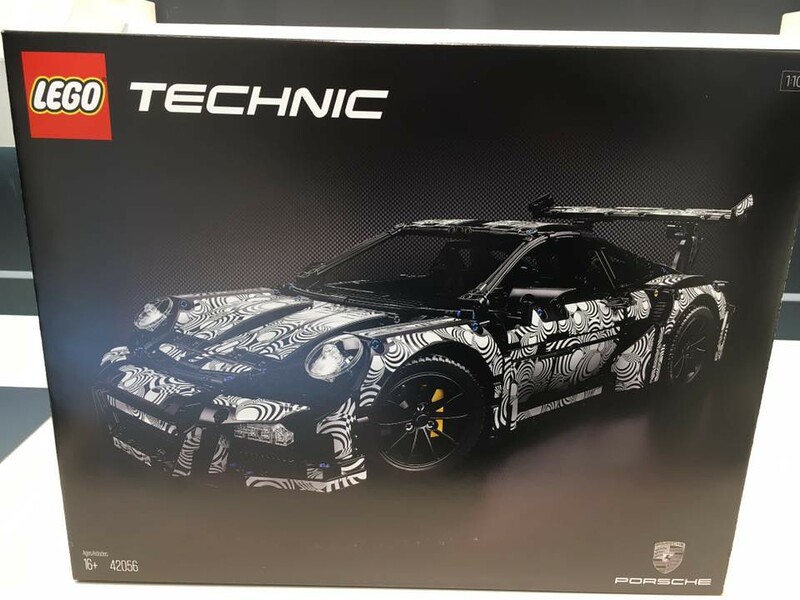 Jim just posted a couple of pictures at EB from an IP car, Porsche branded which seem take from some Toy Fair as we see the typical TLG exhibition turntables and the elements with the correspondent set number (42056 in the present case). 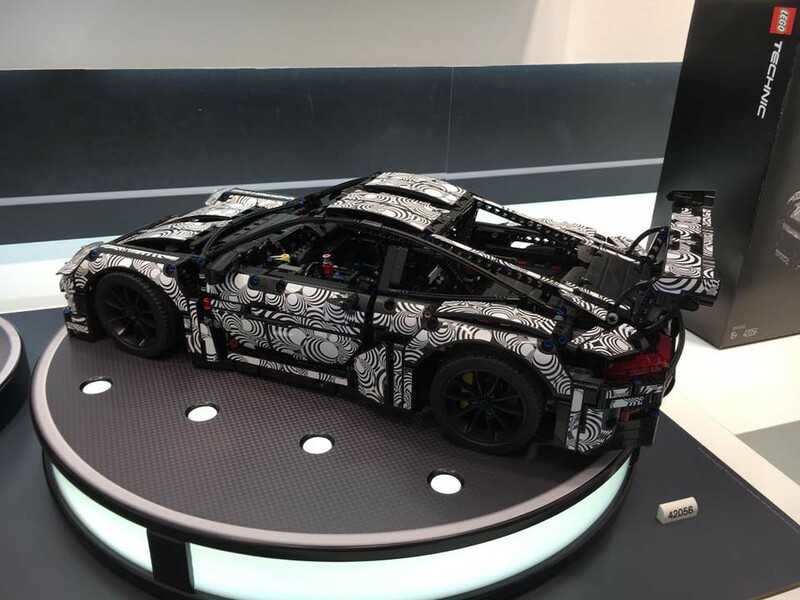 As we can see it is a 1:10 scale model and it looks gorgeous except the anticipated price... If correct one can say that licenses may hurt your wallet! New fender panels and and rims look very appropriate. You make mention of a rumored price twice in the article but don't actually state the price. That's very frustrating. I'm really hoping that they ditch the camo paint job and go for the GT3s orange or purple colors. @Jetro The bucket wheel excavator's box has the old power functions on it, as you can see on the article J. Fred linked too. Although I am wondering how the M motor could move the monster. It would have to be reeaallyy slowwww. @Seaweed 99: That is actually an XL motor if you look closely, but still it seems to lack power. I am uncertain as to if those prices are really the real deal. If you think about it, does nearly 4000 pieces seem accurate for a $240 USD model? the Arocs was $230 and had pneumatics, which costed a whole lot more to implement. I think that the costs are actually reversed. I cannot possibly see that car being greater than 2500 pieces, and a licence seems like it would not add $100 USD to a price. I also doubt that any PF 2.0 will ever exist in Technic in the sense you think it will and that bluetooth, if it were to exist, would be an option to buy a receiver as it is better to have a straight out of the box batteries not included style of set. In reality, I see the car at $250 USD and the BWE at $300- $400 due to price. But then again, who really knows the piece count of that car, such detail can really run up the piece count. But regardless of what it ends up as, it is a must have, unless of course it is $500 :).